« Prepare for tomorrow’s hurricanes today. As August draws to a close, it’s important to remember that this is the peak season for hurricanes in Florida. There have been 35 tropical and subtropical systems that have impacted the state in the last 10 years, and most of them have come at this particular time of year. Windows and doors are usually the first things to be damaged in a hurricane because of the high winds that these storms whip up. 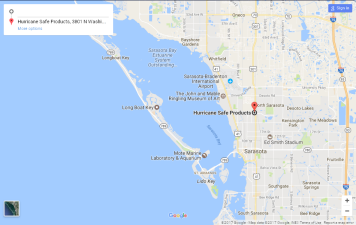 The right shutters from Hurricane Safe Products can not only protect these items, but they can also keep your balcony, patio or storefront from blowing away. Making sure that your home or business has proper hurricane protection is worth every penny. Go to www.hurricanesafeproducts.com to find the shutters that are right for you.